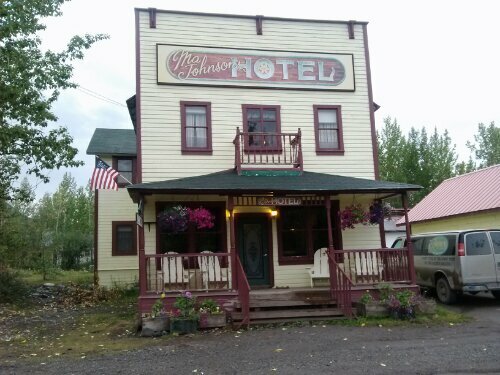 Carol and I rode the Kennicott Lodge bus with our luggage down to McCarthy. It is overcast and cool with bouts of rain. In front of Ma Johnson’s hotel we unload our baggage. Up on the porch we place our baggage. Out comes Neil the owner to help us. Carol, Neil and I wheel in our luggage. On week three, this luggage thing gets tiresome. Leaving the artcarts on the porch. Neil shows us to our room. How sweet, two twin beds with lovely quilts. Pretty folded towels with handmade soap tucked in and a bag of candy with a little poem next to our sink. The potty and shower is close by… big Yeah! I plop on the bed for a couple minutes of heaven. Carol was looking for electric plug. No, luck….if you want to charge anything…phone, computer, ipad, camera and such you need to take it to the parlor. Electronic are lined up neatly on a few small tables against the wall. ELECTRONIC WITHDRAW!!! To begin with I was a bit edgey about this, leaving my lifeline unattended. But after awhile you just don’t worry about it. Nobody was touching your stuff and visa versa. The phones and internet just don’t work right anyway. So after a day or so the withdraw subsides. 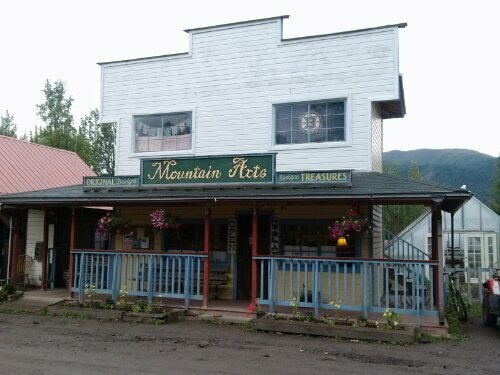 Not to forget the artcarts, the girl at the desk pointed me in the right direction, told me the Wrangell Mountain Center was in the hardware store and I couldn’t miss it. So off I went with the artcarts. Down the road and into a brandnew building that had hardware stuff in it. Well as it turns out, that was the grocery store. I bought some bottled icetea and a candy bar, I was famished. Back outside with two art carts and bag of food. 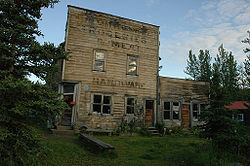 Down farther a two story very large building with giant letters HARDWARE written on it. How stupid can I be. I took the artcarts in and met Kristen, Cobi and Mary from the wrangell mountain center. Later in the evening our class started. When I got back to Hotel, Carol was ready for our “tour around town”, one street. 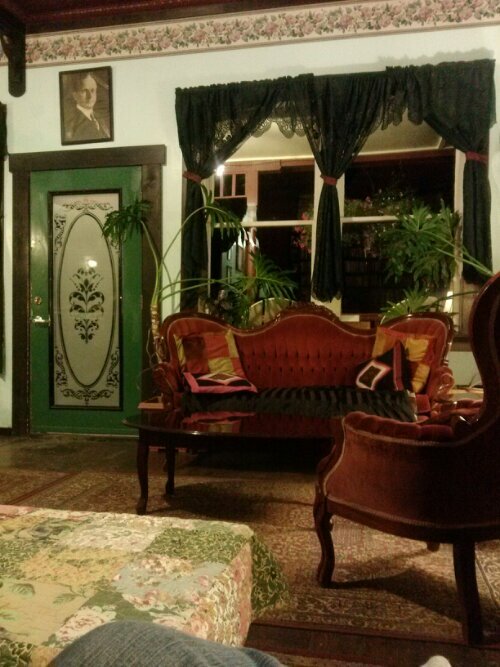 McCarthy proved to be more than met the eye. 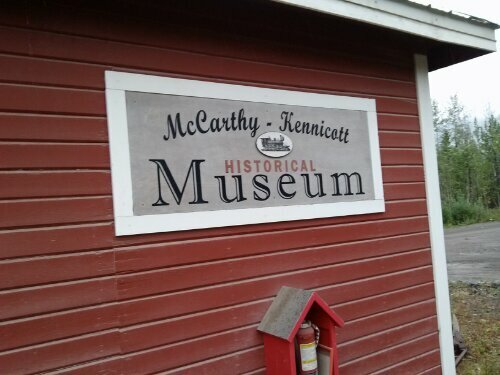 Then we stopped by the McCarthy-Kennicott Historical Museum. 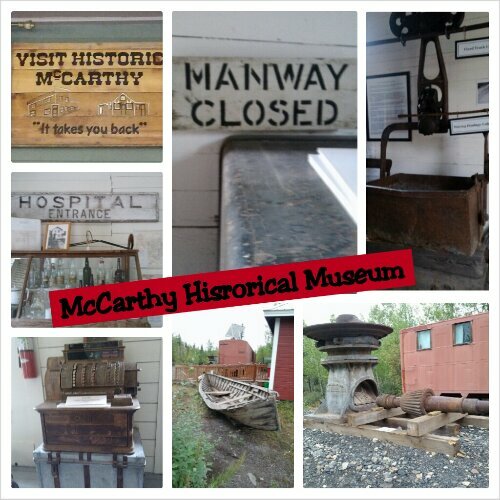 Great history and artifacts.